So, Crook’eyed plan was thwarted by The Racoons and Roboman. From what my nephew explained, Roboman was like the main character. 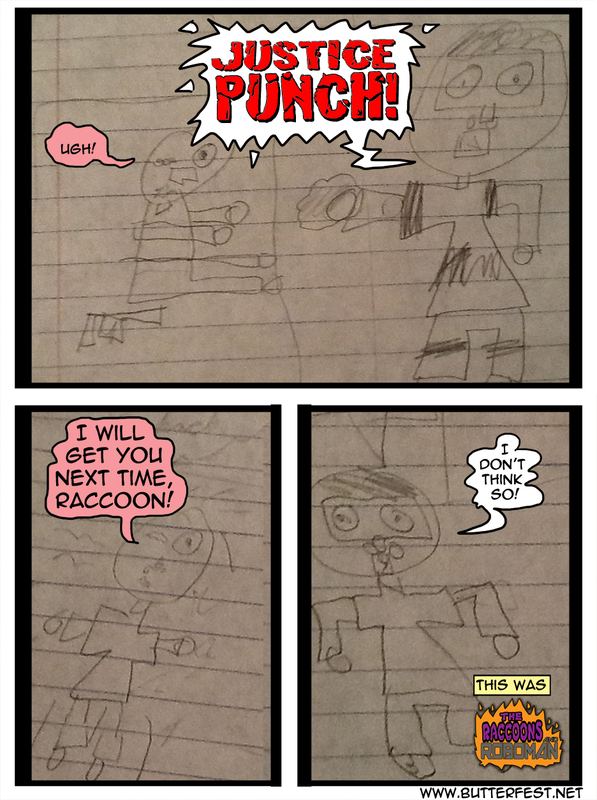 The Racoons were the ones with the powers. There were many of them and each one had a different power. The JUSTICE PUNCH was my favorite.